Position Description Heavy Equipment Mechanic I's maintain and repair heavy equipment including City trucks, construction equipment, refuse trucks and other heavy duty vehicles and equipment. While in this class, incumbents will not achieve permanent status within the classification, as defined in Fresno Municipal Code Section 3-202(p)(5). One vacancy exists in the Fleet Maintenance Division of the Department of Transportation. Immediate and future vacancies will be filled from this eligible list for a period of six (6) months from the date the eligible list is created, with the option of extending that period at the City's discretion. If the examination process is suspended for this recruitment, the eligible list may be limited to three (3) months. Pay, Benefits, & Work Schedule RETIREMENT: Fresno City Retirement System, one of the best funded public systems in the state. Reciprocity with other public California systems. The City does not participate in Social Security. Vested in Retirement benefits after 5 years of service. HEALTH INSURANCE: The City contributes toward monthly premiums for PPO medical, dental and vision for employee and dependents. FLEXIBLE SPENDING ACCOUNT: IRS 125 Plan for health and dependent care expenses. DEFERRED COMPENSATION: Increase your retirement savings with The City's 457 plan. VACATION LEAVE: Eight (8) hours per month, available after 6 months. SICK LEAVE: Eight (8) hours per month, available after 90 days. HOLIDAYS: Ten (10) City-observed annual holidays plus birthday and one (1) personal day. SHORT TERM DISABILITY: Provided through California SDI program. 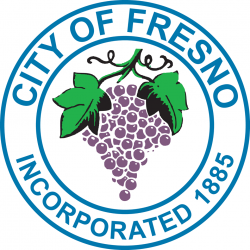 Additional information regarding the City of Fresno benefits is available at www.fresno.gov. The Requirements Applicants must meet the minimum qualifications on or before the posted filing deadline in order to qualify for the examination. Possession of a High School Diploma or equivalent GED completion; and one (1) year of full time paid experience performing routine maintenance and simple repairs on diesel and gasoline powered cars, trucks, buses, construction equipment, and other vehicles and equipment. Possession of a valid California Driver's License is required at time of appointment. Within thirty (30) days of appointment must obtain a valid Commercial Instructional Permit. Within six (6) months must obtain and maintain a valid Commercial Class B California Driver's License with required endorsements and without air brake restriction. Candidates considered for hire must provide proof of a valid driver's license and current copy of their driving record. The selected eligible candidates certified will be required to successfully pass a Department interview and a Department of Justice fingerprint prior to employment with the City of Fresno. Within twelve (12) months of appointment, must possess three (3) valid certifications issued by the National Institute for Automotive Service Excellence (ASE) in the following components: Diesel Engines (T2), Drive Train (T3) and Brakes (T4). Incumbents must take all three certification examinations within the first six (6) months of appointment. Failure to obtain the ASE certifications within twelve (12) months of appointment will be cause for termination from this class. This class is in a flexibly-staffed series, which requires one year of satisfactory service before an employee can 'flex' to the journey level. Employees in classes that require one year of service for flexing will not serve an additional probationary period at the journey level. A Heavy Equipment Mechanic I may be promoted to Heavy Equipment Mechanic II after one (1) year of experience and upon the recommendation of the appointing authority AND possession of three (3) of the above listed T Series ASE certifications. Selection Process The selection process may consist of the following: Written Examination - 100%: A job-related written examination will be administered which may test a candidates knowledge of methods, materials and equipment used to diagnose, maintain and repair heavy-duty vehicles and equipment, ability to read, write and perform shop math, understand and carry out written instructions and establish and maintain effective working relationship with those contacted in the performance of assigned duties. The written examination has been tentatively scheduled for the week of: April 22, 2019 Candidates must achieve a passing score on the Written Examination to qualify for placement on the eligible list. Veteran Preference Regulations Candidates applying for veteran's preference are required to submit a copy of their DD214 with their application during the specified filing period. Evidence must be presented to indicate that the candidate was discharged honorably from the military service. Veterans, including City employees, must resubmit proof of honorable service for every examination for which veteran's preference credit is requested. Qualified veterans who pass the examination will have five (5) points added to their final score. Equal Opportunity Employer The City of Fresno is an Equal Opportunity Employer. Should you need a special accommodation due to a qualifying disability, please contact the Personnel Service Department at (559) 621-6950 in advance of the examination. How to Apply APPLICANTS MUST COMPLETE AN ON-LINE APPLICATION. PLEASE VISIT www.fresno.gov/jobs. TO APPLY. For information on how to complete an on-line application, please view "Instruction Guide" on the City's website, Personnel Services Career Opportunities page, or call (559) 621-6950 for assistance. Resumes will not be accepted in lieu of a completed employment application. ALL CORRESPONDENCE regarding this recruitment and exam process will be sent via e-mail. All applicants will acknowledge such understanding when they complete their on-line application. Verify we have your correct e-mail address before you submit your application. It is an applicant's responsibility to check their email frequently to ensure they receive all pertinent communication from the Personnel Services Department on a timely basis. Applicants will receive an automatically generated confirmation e-mail upon a successful application submittal. The e-mail is the only proof of submittal. Applications must be submitted by midnight on the filing deadline or they will not be accepted for any reason. FOR THIS RECRUITMENT, IT IS RECOMMENDED THAT PERMANENT FRESNO CITY EMPLOYEES APPLY THROUGH PEOPLESOFT SELF SERVICE. Interested in working for the City of Fresno? A job with the City offers exciting challenges and a variety of unique career opportunities all focused on providing reliable, high quality municipal services to the public. All applicants must have a valid email address in order to complete our online application. Primary communication will be through email, which will allow for more efficient application processing, scheduling, and notification.